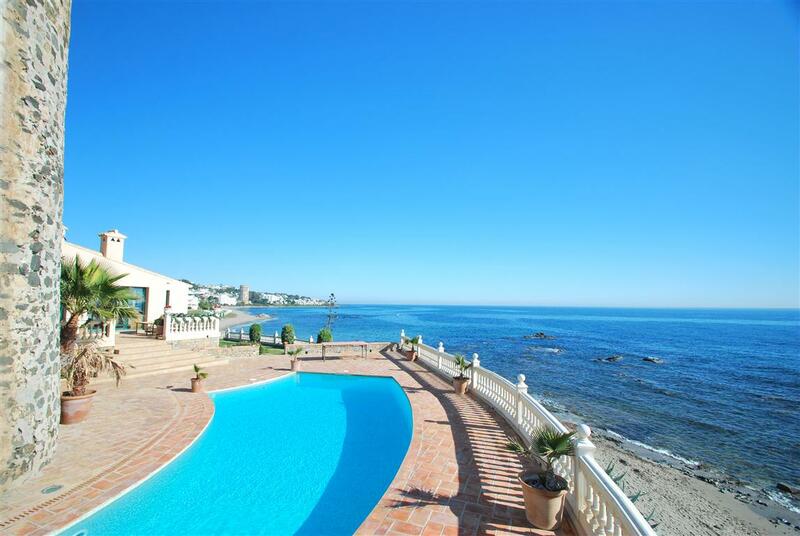 Splendid villa situated in a unique position on the beach east of Marbella and only a short drive to the popular Port of Cabopino, offering impressive 180º sea views and 2 direct accesses to the beach. 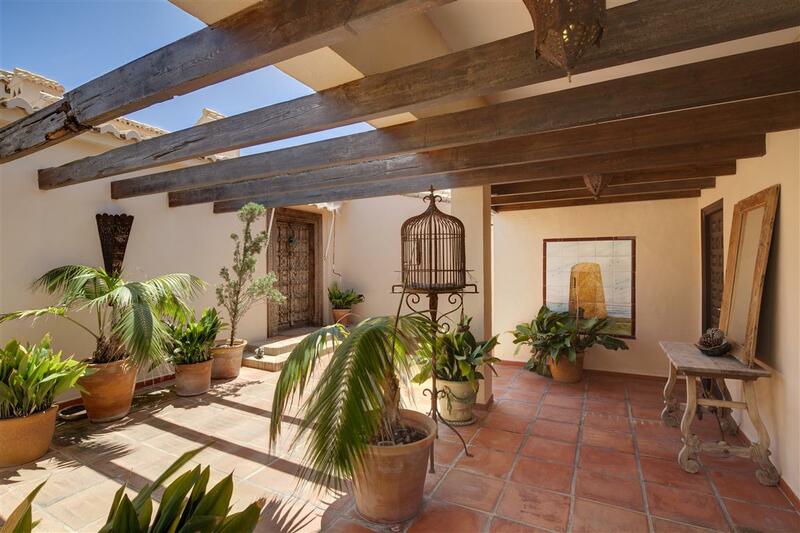 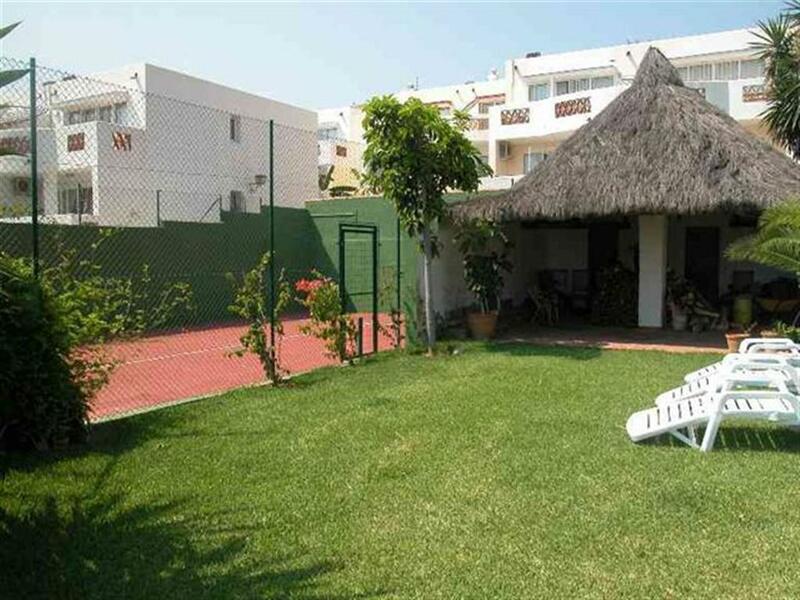 The property is located at the end of a cul-de-sac street in an urbanization offering various facilities. 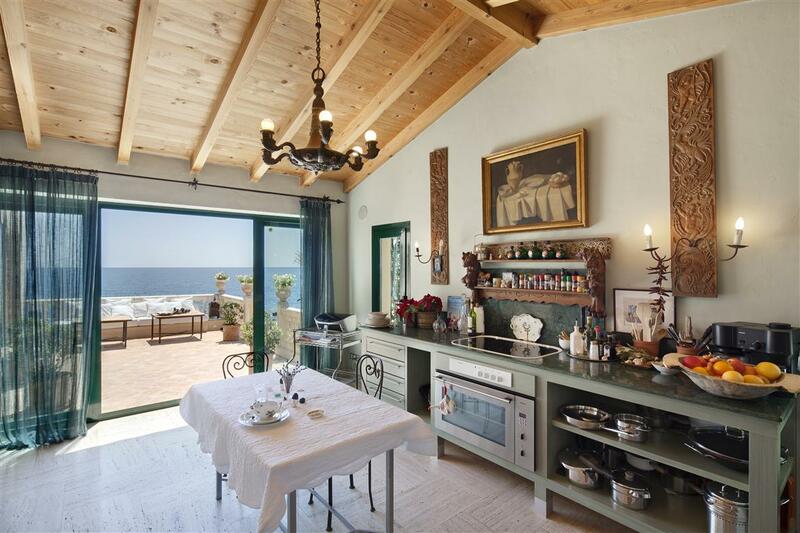 Built in 1970 around an old protected Roman Ruin, this villa has been completely refurbished by the current owner in 2001. 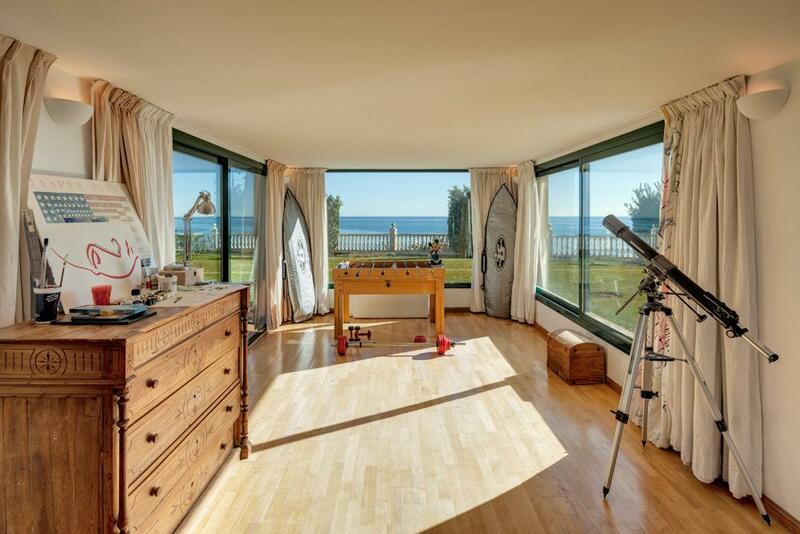 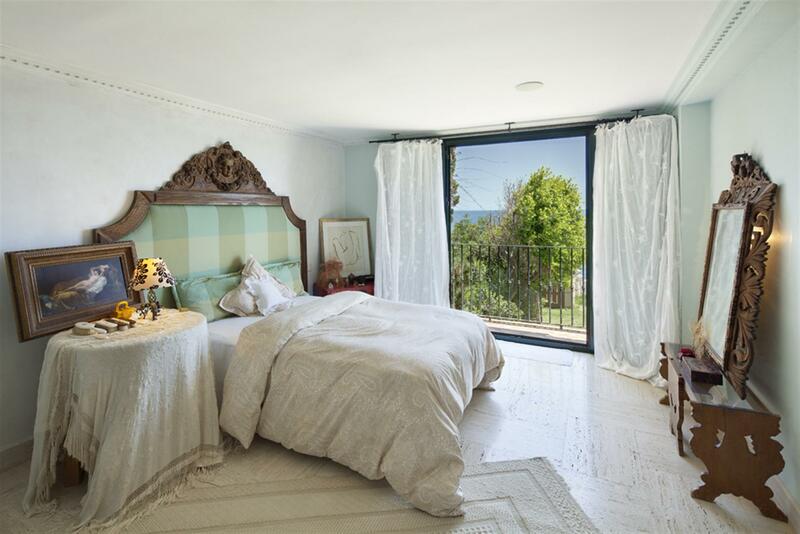 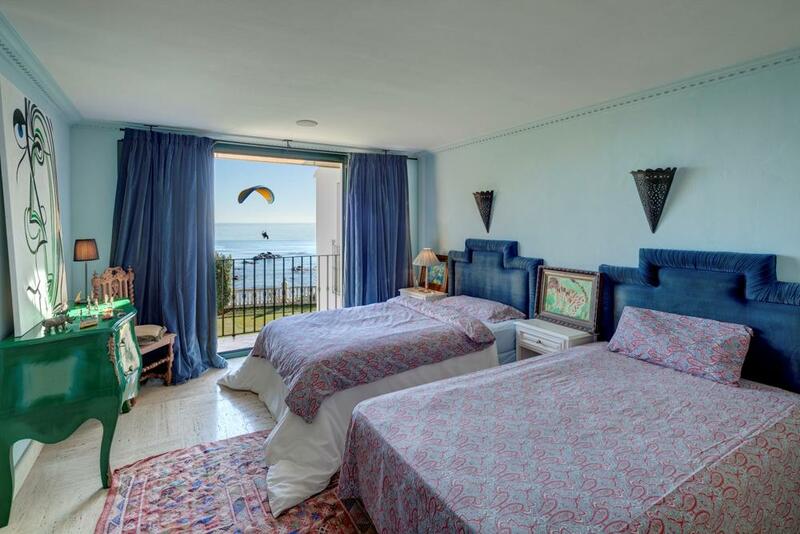 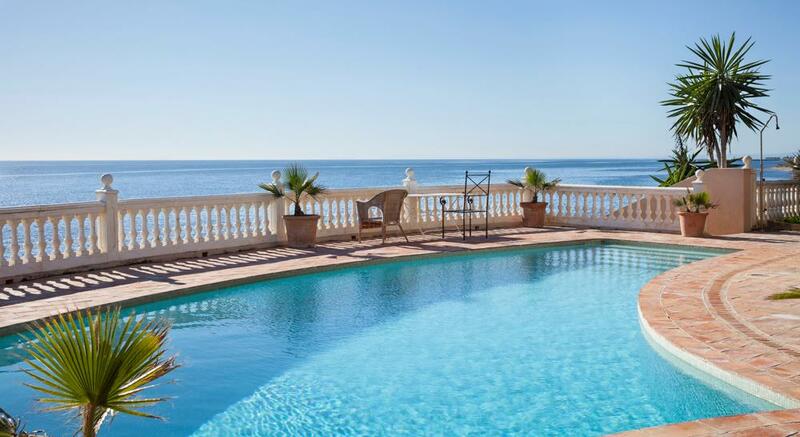 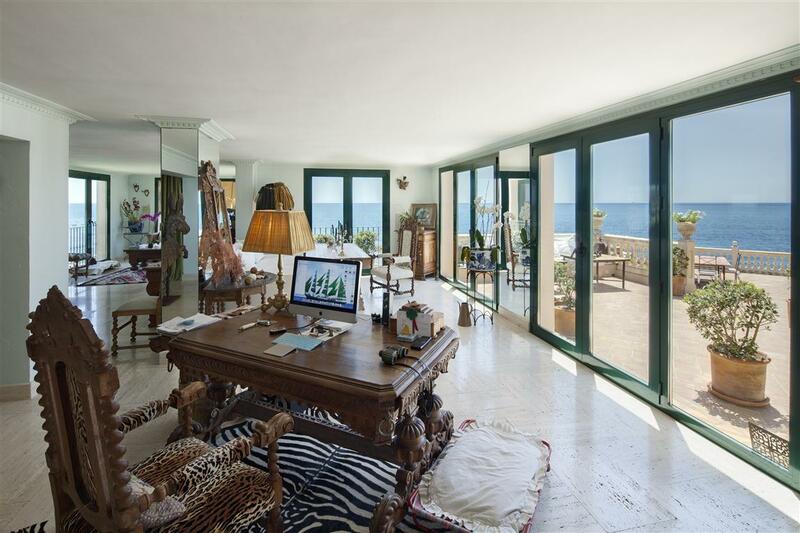 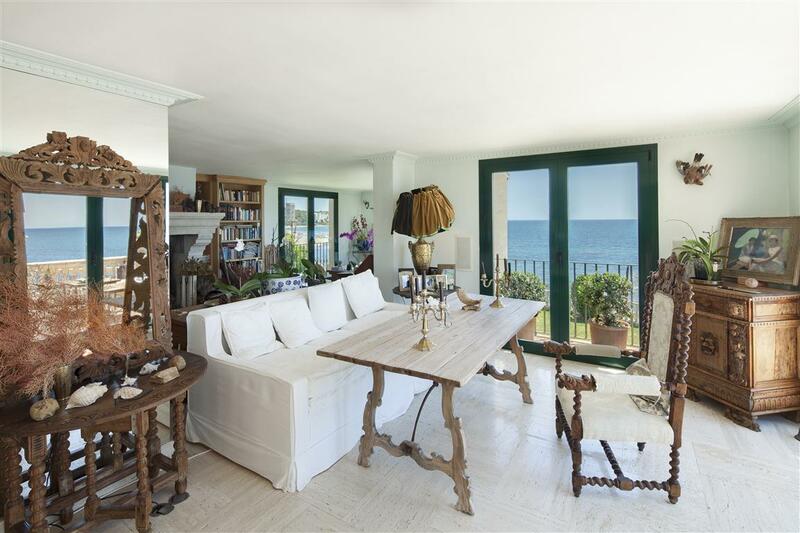 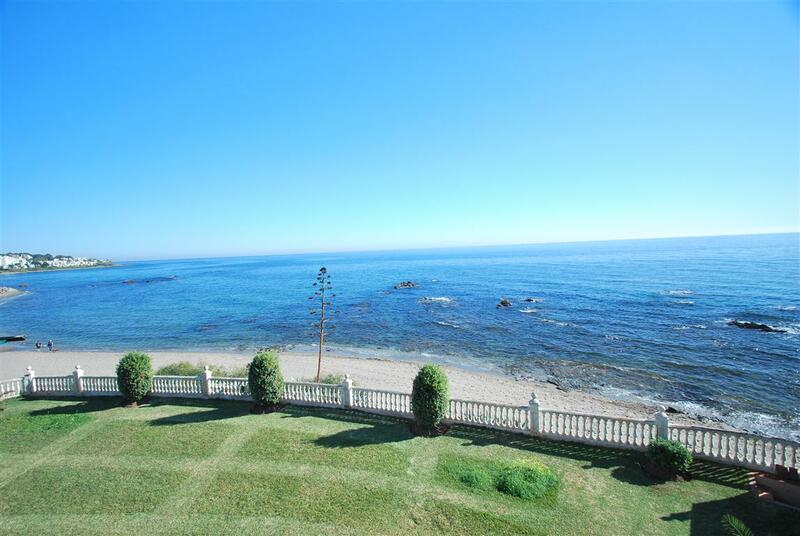 Set on a large plot of land including a paddle tennis court and pergola with shower (in need of renovation), the property enjoys the best coastal views from every single room or terrace. 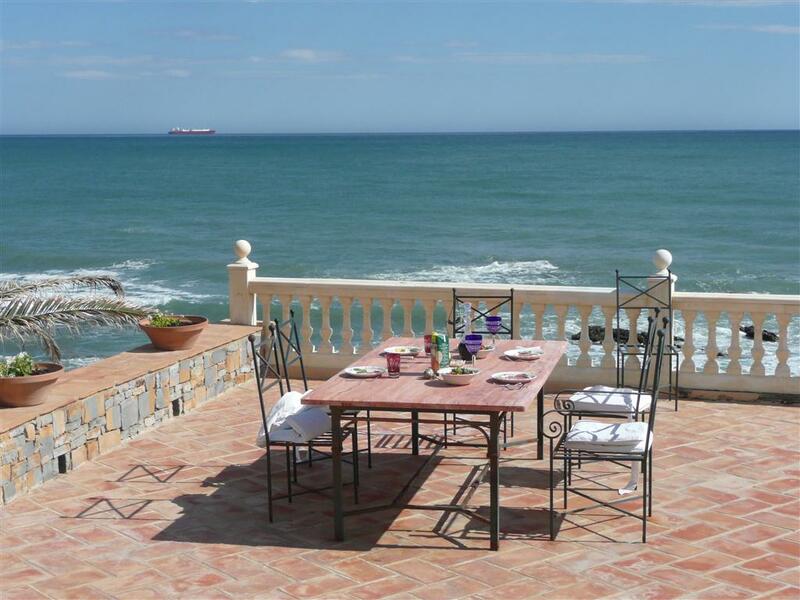 Accessed through a lovely Andalusian Patio and built around a central patio with fountain and shower, the villa enjoys 5 bedrooms, 3 bathrooms plus a guest cloakroom, lovely terraces, spacious living and dining area with antique chimney, TV room, fully fitted kitchen with laundry room, various storage area and a machine room. 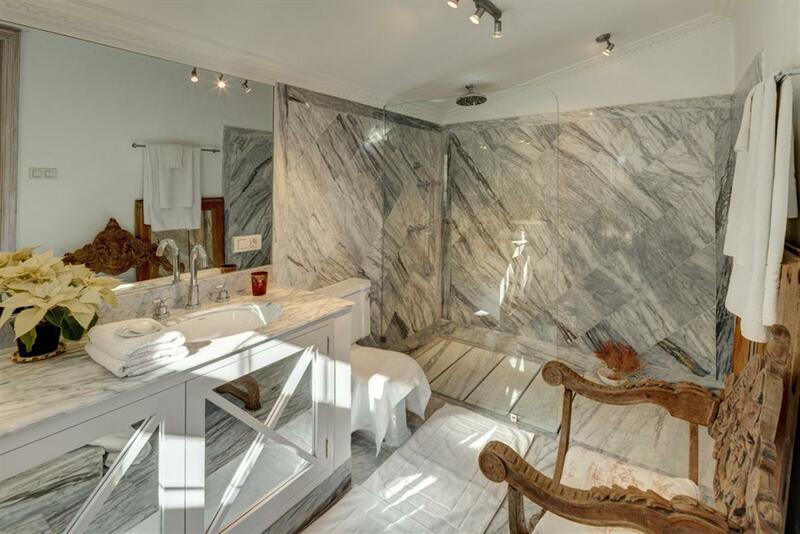 Finished to fine quality standards the property offers travertine marble floors and is fitted with Under Floor Heating by gas oil, Lynn & Lutron lighting and music system, security glass windows and alarm. 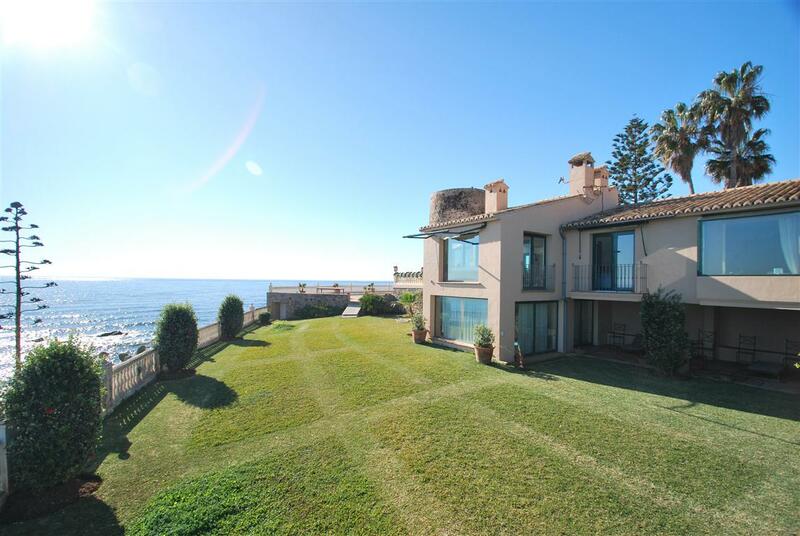 Furthermore the property includes a crescent shape swimming pool with sprinklers on the endless terraces.